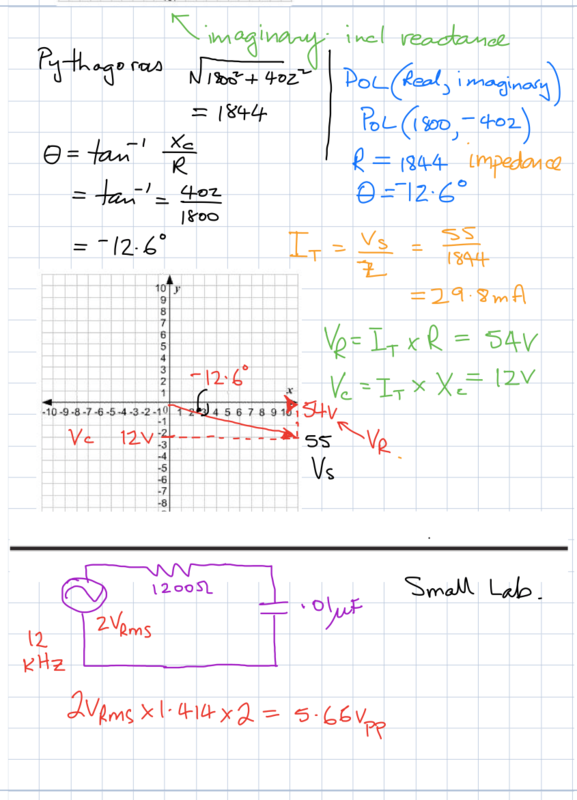 How to draw a phasor diagram for an RC AC series circuit. You must have a good knowledge of how a capacitor works to appreciate this. Oh, and if you do not appreciate this, QUIT NOW. The series RC circuit in AC is a fundamental building block. You MUST study the Floyd notes pages from the AC introduction with simple non reactive resistor only circuits right through Capacitive AC circuits and especially this page 460 shown below. The little squiggly lines do not look like much, but if you do not understand them, QUIT NOW. OK, I am maybe being a little harsh, but I’m also a realist and I know that this diagram is the key to the whole UEENEEH114A unit. The current in the circuit is leading (happening in time before) the Voltage from the supply. 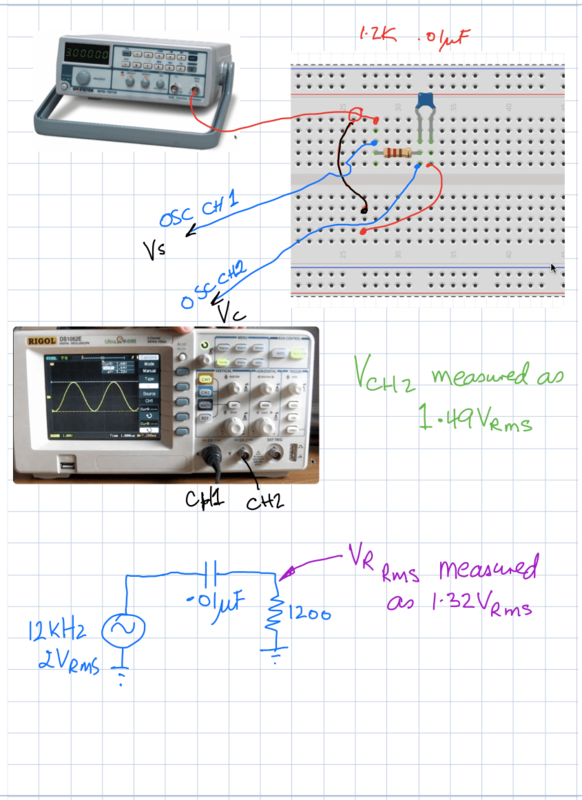 So, if the current starts first, it goes through the resistor and we get a voltage drop VR. So VR leads VS. The capacitor’s voltage is related to the charge equation Vc = C times ΔV/Δt, and that is not maximum until the charging current to the capacitor is a minimum , which is 90° out of phase in the sinusoidal sense. See my power point which clearly shows this phenomena. So, Vc lags Is by 90º…. but Vs is not lagging Is by 90° ….. only a fraction of that. Therefore, Vs leads the Vc by 90°-θ. Wow, understand that? Read your textbook, over and over. You must understand this. Now, onto the class notes for the lab.